While we may have neglected the needs of our significant other last year; during the end of year stress, excitement of the festive season and all the admin associated with the start of the new year… February is the month to get back on track and ensure that your loved one feels appreciated. Luckily we’ve made things easier for you and come up with a bunch of Valentines specials, because we know that there really are few things as romantic as a beach holiday with the person you care for the most. Each of our resorts has something special to offer, so no matter what it is that you enjoy most, we have just the right spot for you. Ranging from exclusive to wildlife themed and even water sport focused. For the ultimate private getaway Medjumbe Private Island Resort and Azura Benguerra Island are both private and secluded, offering their guests lavish villas with private sundecks and plunge pools. If its wildlife that you love, the Dugong Lodge is not only situated inside the Vilanculos wildlife sanctuary, but has also been voted among the world’s most romantic holiday locations. 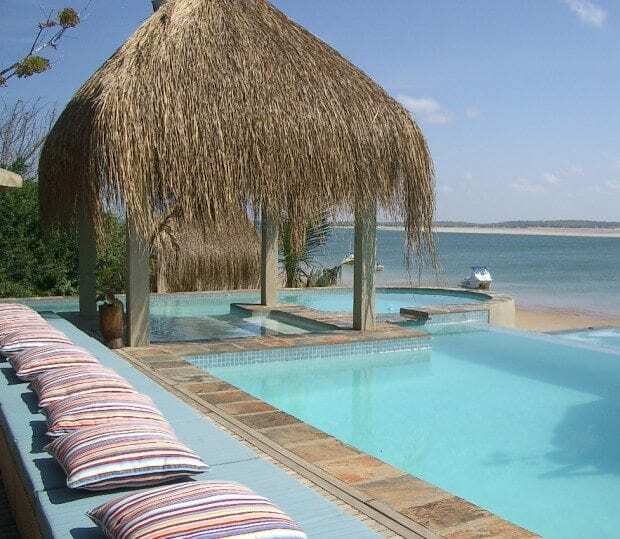 Flamingo Bay Water Lodge sits right in the estuary in Inhambane. With each chalet neatly resting on stilts, you will get the opportunity watch the tides while you sip cocktails with the water lapping at your toes. For those who are only concerned over the luxury aspect of their getaway, Anatara provides not only a wide array of activities, but also the all-important unsurpassed service and undeniable luxury to which one could easily become accustomed. Those on a budget need not feel abandoned, Barra Lodge is not only affordable but also magnificently rustic. Barra sits in between the Inhambane estuary and the coastline among the coconut groves. Whether you like to squander your days in the sun, jump into the ocean or enjoy the local wildlife. For every type of beach holiday you can imagine, we have just the resort for you. No matter where in Mozambique you decide to rest your head, take consolation in the fact that the sun will be up, the sea will be calm and you will be able to count the stars once the sun goes down.